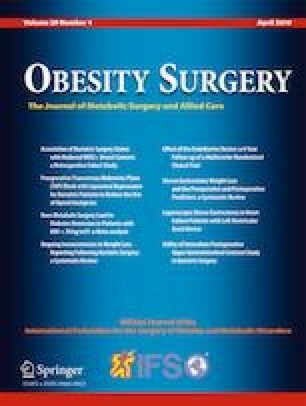 The use of ursodeoxycholic acid (UDCA) to prevent gallstone formation after sleeve gastrectomy (SG) is still debated. Furthermore, no study has assessed the effectiveness of UDCA on gallstone formation after the first postoperative year. Our aim was to compare the incidence of cholelithiasis (CL) at 1 and 3 years after SG between patients treated or not treated with UDCA. From January 2008, a postoperative ultrasound monitoring was scheduled for all patients who underwent SG in our institution. Patients with a preoperative intact gallbladder who performed at least one ultrasound at 1 year after SG were included. We compared the incidence of CL between patients operated before October 2013 who did not receive UDCA and those operated from October 2013 who received UDCA 500 mg once daily for 6 months postoperatively. The incidence of CL at 1 year after SG was 28% in the 46 non-treated and 3.5% in the 143 treated patients (p < 0.001). UDCA reduced the proportion of cholecystectomies from 11% to 1.4% (p = 0.012). Thus, the number of patients needed to treat to avoid a cholecystectomy was about 10. Only 2 patients (1.4%) stopped UDCA for adverse effects. No gallstone appeared at 3 postoperative years in the 61 patients who performed an ultrasound at this time. UDCA 500 mg once daily for 6 months postoperatively is effective and well tolerated to prevent CL at midterm after SG. We recommend UDCA treatment in all patients after SG with an intact preoperative gallbladder. However, large randomized studies are needed to establish guidelines for prevention of gallstone formation after SG. Haute autorité de santé [homepage on the Internet]. Obésité, prise en charge chirurgicale chez l’adulte. Janvier 2009: www.has-sante.fr. Accessed January, 2, 2019.